The Bell Advantage brings value to our customers through on-going product research and development, manufacturing expertise and superior customer service. 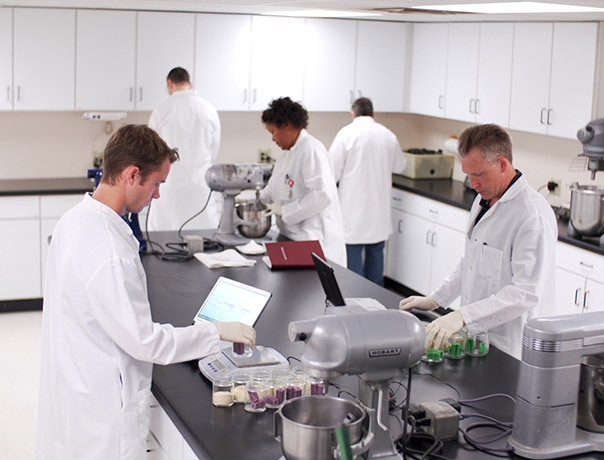 A dynamic process, Bell Laboratories' quality assurance program is continually being refined through valuable input from Bell employees, Bell customers and industry experts. We are ever alert to identifying ways to make good processes and products even better. The test of a rodenticide is its ability to control rodents under a wide range of conditions. Not only must the active ingredient be powerful, but the inert ingredients must appeal to a rodent's sense of taste and desire to gnaw. Bell Laboratories' rodenticides undergo countless laboratory tests, often achieving rodent acceptance rates - well above U.S. Environmental Protection Agency (EPA) requirements. Such results ensure that Bell Laboratories' baits produce outstanding levels of rodent control and acceptance in the field - where it counts. Only when Bell's technical active ingredients and baits have successfully measured up to company standards will they carry the Bell Laboratories' name. At Bell Laboratories, the making of a rodenticide begins in the chemistry lab with the development of the active ingredient. Bell Laboratories synthesizes the anticoagulant and acute active ingredients used in its baits - bromadiolone, bromethalin, brodifacoum, and diphacinone. An exacting process, the development of a pure active ingredient requires extensive research and development on the toxicant, as well as the intermediates that make up the toxicant. In manufacturing active ingredients, Bell chemists conduct many stringent impurity analyses to determine the range and characteristics of any impurities in the active ingredient. Eliminating impurities which can cause taste aversions or unwanted side effects is paramount to a bait's effectiveness. Using sophisticated laboratory equipment, Bell's chemists can detect impurities in trace amounts and eliminate them. Once formulated, the active ingredient is subject to a series of tests on its physical and chemical properties, including melting point, corrosive characteristics and pH. Much of the data gathered from the chemical analysis and testing is later used when baits and toxicants are registered with the appropriate regulatory agencies in the United States and abroad. From the process developed in the chemistry lab, the manufacturing of the active ingredient is advanced to Bell's technical manufacturing area. Because the synthesis of active ingredients is so critical to a bait's effectiveness, Bell scientists perform this function in-house. Every effort is made in the manufacturing process to produce superior quality baits. Bell Laboratories' baits contain only food-grade inert ingredients and enhancers. Grain is purchased in bags rather than bulk and is inspected before use to ensure that it meets quality specifications and is free of contaminants. 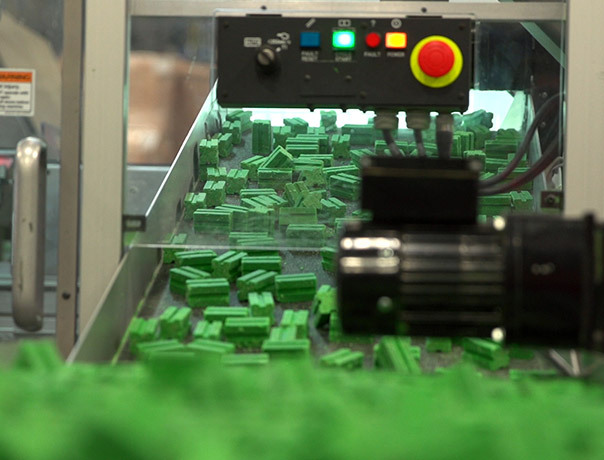 Throughout the manufacturing process, products undergo periodic quality checks. For situations where poisons are prohibited or discouraged, Bell Laboratories manufactures a complete line of glue products to capture and monitor rodents and insects. Bell formulates its own glue, bringing its understanding of rodent behavior to task with adhesives that capture and hold rodents firmly. Next to synthesizing technical materials, manufacturing adhesives is one of the most critical operations at Bell Laboratories. Bell's adhesives are formulated and tested in Bell's chemistry labs until they meet Bell's strict specifications for holding power, operating temperature range, and ease in removing the release paper. Glue is manufactured in several formulations, taking into account the requirements of each type of adhesive product. Designed for ease of use, Bell Laboratories' mechanical traps incorporate state-of-the-art technology in a trap that sets or releases in one motion. Traps are spring-loaded to the tension point where they release at the touch of a mouse but won't accidentally be set off by vibrations. Customer service is as important at Bell Laboratories as manufacturing quality products. From Bell's team of in-house service representatives to its domestic and international technical representatives, Bell employees strive for top-rated service and support for Bell customers. Whatever the requirements of an order - from registering products to shipping them overseas - Bell's staff "goes the extra mile" to ensure that orders arrive promptly and safely anywhere in the world. Bell's friendly and courteous service representatives efficiently take orders, respond to the status of orders, and supply customers with product information. They also assist pest control operators in locating Bell distributors in their area. To facilitate customer orders, Bell Laboratories receives orders via the mail, fax, EDI and its toll-free telephone number which puts customers directly in touch with an in-house service representative. Bell normally ships domestic orders within one day and international orders within five days. Customers are notified of any shipping delays. Orders are prepared with care and shipped through the most reliable carriers. With international orders, Bell's staff offers invaluable expertise in registering and marketing products, as well as in preparing and legalizing documents for shipping. Bell's U.S. and European shipping departments take special care when shipping all orders, whether it's across town or across the world. 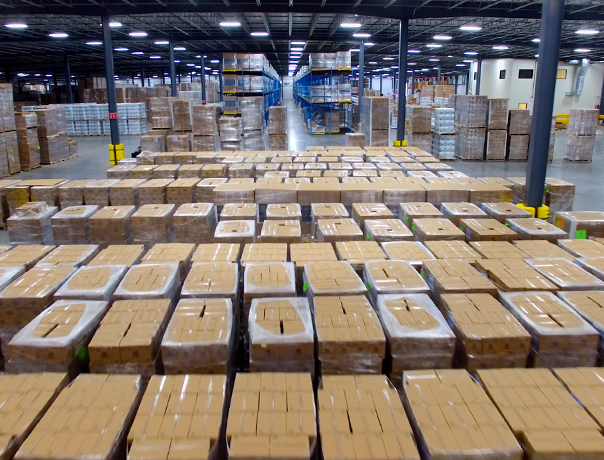 Products are shipped on skids and shrink wrapped to ensure that they arrive at their final destination in good condition. Bell Laboratories has more than 50 labels for concentrates, active ingredients and baits registered with the U.S. Environmental Protection Agency (EPA). Bell has rodenticides registered for use in every state in the United States. Some products also have 24(C) labels which provide supplemental registration of products for specialized use in designated states. Bell products are packaged with full labels, approved by the EPA. Additionally, end-use packaging contains Material Safety Data Sheets (MSDS) which give critical safety and health-related information on the product. In addition to our domestic offering, Bell continues its work with foreign governments to register numerous bait products. Bell baits are currently registered and sold in over forty countries on six continents. Bell's technical representatives and sales managers lead the pest control industry in customer support, training, and education. Each year, they spend countless hours training thousands of pest control technicians through training programs sponsored by Bell distributors, as well as state and local pest control associations. Their knowledge of rodent behavior and rodent control techniques enables them to work side-by-side with Bell distributors and Pest Management Professionals (PMP)s solving rodent infestation problems and answering questions about Bell's rodent control products. Through these relationship, Bell is also able to quickly address the needs of its customers for new products and to initiate service that is unmatched in the industry. Bell's advertising program supports Bell distributors in their advertising and sales efforts year-round, not just in the busy pest control season. Customized product literature, videos, digitized images and advertisements describing Bell's products are designed to enhance a distributor's marketing program and sales. Annually, Bell publishes a product and label catalog which details Bell's line of rodent control products. The catalog includes photos and descriptions of products, along with complete specimen labels and Material Safety Data Sheets. To keep the pest control industry informed of relevant issues and product news, Bell Laboratories publishes a newsletter, The Bell Report, which reaches more than 15,000 readers in the U.S. and Canada. An international edition serves Bell's overseas markets.